Description: New Acer laptop hinge set. 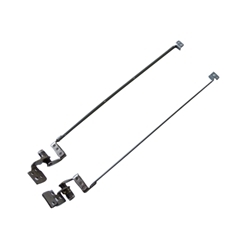 The Aspire 5742(G/Z/ZG) series has 2 different sets of hinges. This is the regular version and the more common of the two. Please check the pictures and the part #'s to make sure that you are ordering the correct part. Part #'s: 33.R4F02.004, AM0C9000500-SZS-LED-L, AM0C9000600-SZS-LED-R, 100923 C10, 100927 C12. Acer Aspire 5250, 5252, 5253, 5336, 5552, 5552G, 5733, 5733G 5736, 5736G, 5736Z, 5742, 5742G, 5742Z, 5742ZG.